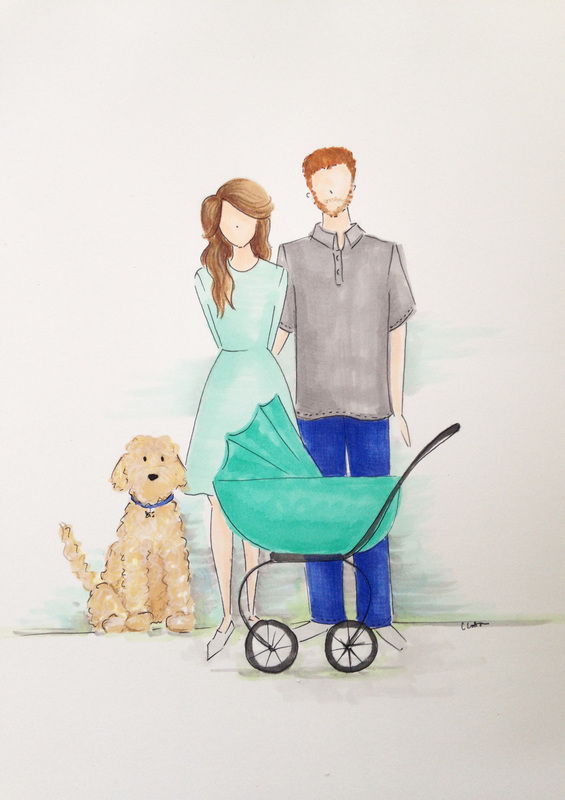 Remember the sweet stages of your family through these custom illustrations. These are the perfect gifts for grandmothers, friends and new moms who are expecting or just want to cherish the life stage of their family. Give that special family in your life a gift that they can keep for a lifetime. Acrylic paint, copic markers and pencil help this illustration come to life. This custom illustration is designed on 8.5 x 11 watercolor paper with enough space for it to be matted and framed. Allow 2 to 3 weeks to complete the illustration and have it shipped. If you would like to gift wrap the illustration it will be an additional $10. Add custom stationery for an additional cost of $35 or more. Simply send a picture of the family (preferably a full view and a close up image) to: contact@marrymeinspring.com. Contact for questions or shipping needs. I am happy to discuss different timelines or circumstances as needed.